2003-2008 PhD in bird foraging ecology: The Functional Response in Pause-Travel Foraging Birds. NERC funded PhD, awarded by the University of Reading, (supervised by Prof. Ken Norris in the Centre for Agri-Environment Research, CAER) but based at the Centre for Ecology and Hydrology (CEH) Dorset (supervised by Dr Richard Stillman). 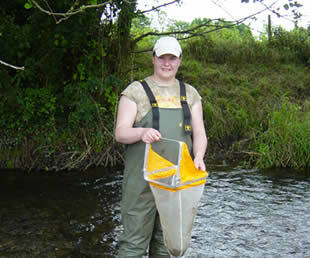 I joined WildCRU in 2008 to work on my current project, assessing the impact of invasive American Signal crayfish and Agri-Environment Schemes (AES) on fish and aquatic invertebrates in the Upper Thames.